Through our Community Investment Process, we grant money donated to United Way to local agencies. The volunteer Community Investment Steering Committee develops and oversees the process for distributing funds. Each grant cycle, agencies are invited to submit a proposal for funding and we recruit people from across the community to assess proposals, conduct site visits, and determine where and how the money should be distributed. After a thorough vetting process, we grant money to programs shown to have the ability to make an impact toward achieving UWLC outcomes. In 2018 we introduced an exciting new investment framework aimed at aligning resources and engaging our community so that children in Lane County can be successful in school and life. The new structure encourages innovation and collaboration between agencies. United Way is now accepting proposals for an evaluation process for our Community Transformation Awards. Prospective applicants should review the attached materials and submit an application by May 15th at 5 PM. With questions, contact Jared Pruch at jpruch@unitedwaylane.org or 541-741-6000 x 135. See our 2019 Grant Awards below. For more information or to learn how your organization can apply for a United Way grant, contact Jared Pruch at jpruch@unitedwaylane.org. Our 2019 Community Investment grant awards are built around three complementary goals: Transformation, Support, and Innovation. - Community Transformation grants are multi-year awards, intended to foster and support strategic, long-term collaborative approaches to effecting positive systemic change for children and youth in our community. Transformation awards are $100,000-$150,000 annually, for a three-year commitment. - Community Support grants will support projects and organizations that demonstrably increase stability for children and families in Lane County. These awards may be used for programs, activities, or organizational capacity, and can also be used to support collaborative efforts between multiple agencies. Support awards are $10,000-$50,000 annually, for a two-year commitment. - Community Innovation grants are intended to support local nonprofits and community groups in trying new ideas, challenging assumptions, taking thoughtful risks, and getting outside of “business as usual.” These awards emphasize learning, prototyping, and sharing findings back out to the community. Underpinning all of these awards is United Way’s commitment to advancing equity through all of our work. For United Way, working towards equity means eliminating the predictability of success and failure that correlates with any social or cultural factor. We believe that every child must have the unique and necessary resources they need to be successful in school and life. We invite you to join us in our effort to build a stronger community for our children by sharing your proposals for a Community Investment award. To receive news and updates via email about our Community Investment grant application process, click the sign up button below. Letters of Inquiry accepted September 3rd – October 1st. How did United Way develop the new Community Investment framework? The Community Investment framework represents the result of a yearlong deliberative process that involved listening sessions with agency partners, guidance from our volunteer Community Investment Steering Committee, conversations with other United Ways, and discussion by our Board of Directors. Is United Way now only investing in programs that directly serve children? 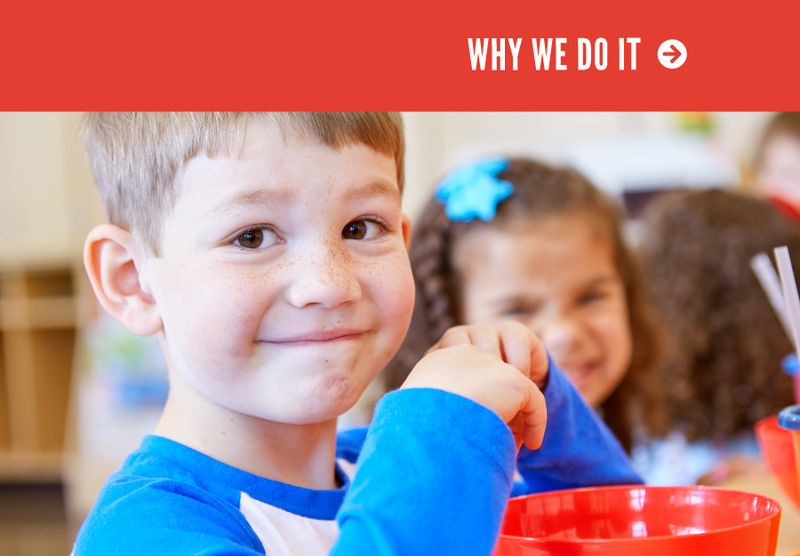 United Way recognizes that fostering success for children and youth means working to improve the conditions that surround them, including parents, families, schools, homes, neighborhood, and systems of care. We are committed to taking a holistic approach to improving the lives of children. Can United Way provide guidance on which award our organization should apply for? United Way is offering numerous grant information sessions in summer 2018. For more information about these sessions, contact jpruch@unitedwaylane.org. Who makes decisions about how funding is allocated? Grant proposals are reviewed by volunteer community members who have the expertise or lived experience in the United Way’s Outcome Areas. Volunteer panels make recommendations to the Community Investment Steering Committee, and the board of directors makes final funding decisions based on available resources. When is the application deadline, and when does funding begin? Each award has its own deadline; find details above. Funding for the 2019 Grant Awards will begin on July 1st, 2019.